The APR rate is the same for both cards, between 11.99% and 23.99% variable APR. You get 0% on purchases and balance transfers for 14 months on the Discover It® – Cashback Match™ card. On the Discover It® – 18 Month Balance Transfer Offer card, you get 0% on balance transfers for 18 months and 0% on purchases for 6 months. On both cards, you will also get 5% cash back on qualifying purchases for the first $1,500, though eligible categories rotate so you’ll need to be on your toes keeping an eye out for where you can get maximum rewards. Where Discover really wins brownie points is Cashback Match™, an automatic dollar-for-dollar matching reward system in the first year. So, if you earn 5% cash back each quarter on $1,500 of spending and pocket $75 in rewards or $300 annually, you will get an additional $300 for a total of $600 without lifting a finger! 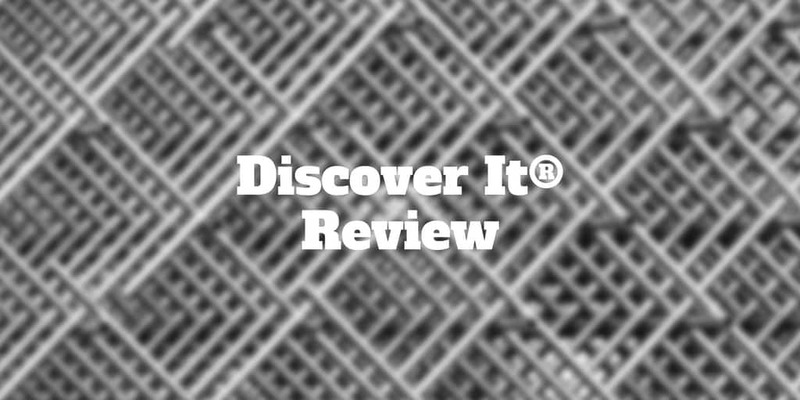 Is The Discover It® Credit Card Right For You? What Are The Discover It® Credit Card Benefits? How Do Discover It® Credit Cards Stack Up? What Are The Discover It® Credit Card Fees? What To Watch For With Discover It® Credit Cards? Discover Visa Credit Card: What Are The Benefits? 1st Year Dollar-for dollar Bonus: Double your rewards! Discover It® credit cards offer long zero-interest terms if you are transferring existing high-interest credit card debt or making new purchases. If you have a high interest balance elsewhere, the Discover It® – 18 Month Balance Transfer Offer gives you a year and a half zero-interest timeline. On the other hand, if you don’t already have high-interest credit card debt, but instead are looking to buy a high-ticket item and want a long time runway to make zero-interest payments then the Discover It ® – Cashback Match™ is best. The highlight of the Discover It® credit cards are 5% cash back and matching dollar-for-dollar cash back rewards for the first year. The flagship benefit of Discover It® credit cards is 5% cash back on rotating categories each quarter, such as Amazon, gas stations, restaurants, wholesale clubs and more. Another standout benefit that only Discover offers is matching dollar-for-dollar cash back rewards at the end of your first year. You get double your first year cash rewards automatically. So, if you earned $200 in cash back rewards, you will get an equal matching $200 for a total of $400 in cash back. Beyond 0% annual fees and 5% cash back, Discover It® credit cards report your FICO® Credit Score on each monthly statement – the first major credit card to do so. You also enjoy fraud protection so every purchase is monitored and you are never held responsible for unauthorized payments. If a suspicious charge does get flagged, you will be notified by email, phone, or text. Another highlight is U.S. based customer support that doesn’t pitch you on additional products. Discover It® credit cards feature 5% cash back on rotating categories, 1% cash back on all other purchases, cash back never expires, and only Discover matches all the cash back you earn at the end of the first year dollar for dollar. Compared to other 0% annual fee credit cards, Discover It ® credit cards are among the best of any you could choose. The major fees for Discover It® credit cards include a 3% fee for balance transfers and 11.99% → 23.99% Standard Variable Purchase APR. You need to pay attention to which rotating categories qualify for cash back rewards and activate your bonus. Where Discover It® credit cards get docked a few points is the rotating quarterly categories. You need to remember which categories are eligible each quarter and you need to activate your 5% bonus quarterly too. The other issue with the categories is they are pre-selected for you, even though your spending habits may not align with qualifying categories. If you would rather choose categories that you determine and may better fit your own spending choices, the U.S. Bank Cash+™ Visa Signature® Card may be a better fit because you can choose two 5% cash back categories – although the 5% cash back category is limited to $2,000 of expenditures per quarter. To enjoy instant rewards, check out Discover Deals where top name online retailers are featured. Discover Deals is the best way to get an instant return on your rewards from big name retail brands because most of the retailers don’t fall under the eligible rotating categories unless it’s the holiday season, which is why you see Amazon and Target featured in the final quarter of the year. One blot on the copybook of Discover It® credit cards is that fewer brick-and-mortar merchants accept them versus say Visa or MasterCard. Generally, you won’t find as many issues with Discover cards being accepted online but you may want to keep another credit card in your wallet just in case a merchant does not support your Discover card. Discover It® is a zero annual fee credit card with 5% cash back on eligible purchases that rotate each quarter and up to 18 months of 0% interest on credit card debt, so it is optimal for large balance transfers and large new purchases. ✅ 5% Cash Back: Eligible categories that rotate quarterly, including purchases at restaurants and Amazon.com, earn 5% cash back rewards ❌ Rotating Categories: Earning 5% cash back isn’t automatic because you need to remember which categories are eligible each quarter. ✅ Dollar-for-dollar Cash Back Bonus: At the end of the first year, whatever your cash back rewards, they are doubled. ❌ Rotating Categories: To enjoy your first year double cash back rewards, you will need to wait a full year. ✅ 1% Cash Back Other Goods: All other purchases earn 1% cash back. ❌ Cash Back Limit: Cash back rewards are limited to $2,000 in spending per quarter. ✅ 0% Annual Fee: You don’t pay an annual fee. ❌ Merchant Acceptance: Discover runs its own payment processing network and, though broadly accepted, is adopted by fewer merchants than Visa and MasterCard. ✅ Long 0% Interest Timeline: Transfer balances and new purchases enjoy 0% interest for 14 months on the Discover It® – Cashback Match™ card and 18 months on the Discover It® – 18 Month Balance Transfer Offer card. ✅ Free FICO ® Report: You receive a free FICO ® Credit Score report on each monthly report. ✅ Grace For 1st Late Payment: If you miss a payment, you will not be penalized on a first late payment but a $37 charge thereafter will apply. ✅ Great For High-Interest Balance Transfers & New Purchase: If you are paying a high interest rate elsewhere on credit card debt, the long grace periods paying 0% are excellent for existing balance transfers or if you are planning a major new purchase and want to keep interest payments low for an extended time period. Beyond cash back rewards, you enjoy no foreign transaction fees, no APR increases with a late payment, and $0 fraud liability. You can build your credit history, earn points when you start spending, and withdraw cash using the Discover credit cards. The Discover It® Cashback Match™ and 18 Month Balance Transfer Offer credit cards provide 5% cash back on rotating eligible categories, 1% cash back on all other categories, 0% annual fee, and lengthy 0% interest rate timelines on balance transfers and new purchases. Discover is the only card that offers a dollar-for-dollar matching program on cash back rewards in your first year too. If you happen to miss a payment, your APR rate won’t increase nor will you be charged a penalty on a first late payment. Other credit card benefits you receive include a free monthly report of your FICO® Credit Score and cash back that never expires. Best of all, 0% interest timelines are lengthy; 14 months for Discover It® Cashback Match™ and 18 months for the Discover It® 18 Month Balance Transfer Offer credit card. The bottom line is the Discover It® credit cards are among the best for balance transfers of high-interest credit card debt and for large new purchases when you want to keep interest charges zero for long time periods but you will need to pay attention to which categories are eligible for maximum cash back rewards because they rotate quarterly. Disclosure: Information related to the Discover It® Cashback Match™ and the Discover It® 18 Month Balance Transfer cards has been collected by Investormint and has not been reviewed or provided by the issuer of this card. ‹ Kabbage Review – Get Businesses Lines Of Credit Fast!